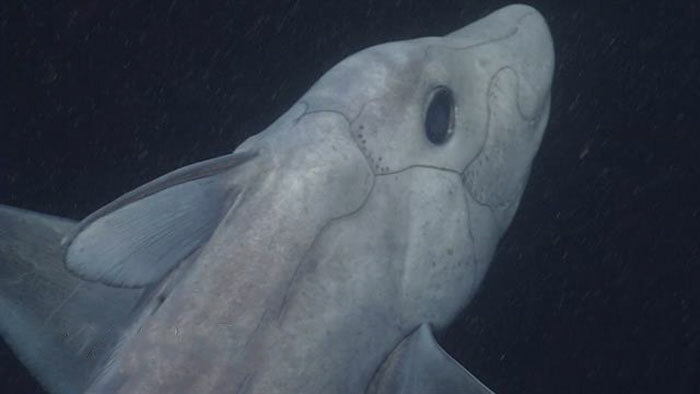 Researchers were able to film, for the first time ever, an eerie looking pointy-nosed blue chimera, a deep-sea ghost shark that is thought to be older than the dinosaurs. Its skeleton is constructed of cartilage, not bone, so it moves through the water like an otherworldly ghost, and so is aptly named. The shark has small dots around its head that are thought to be sensory organs. They are supposedly to help the shark find food, but researchers are still not exactly sure of their full scope. 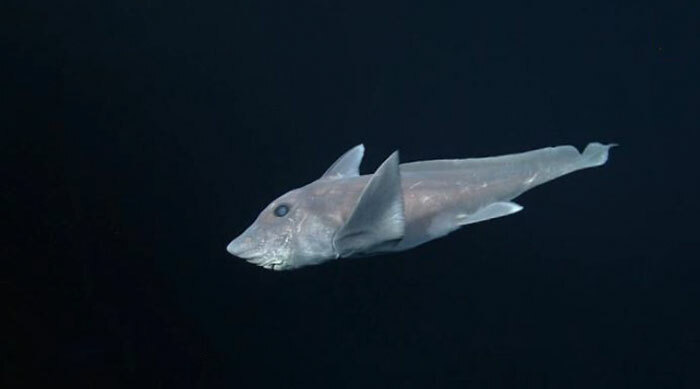 The pointy-nosed blue chimera (Hydrolagus trolli) is a species of fish in the Chimaeridae family found near New Caledonia, New Zealand, and South Africa whose natural habitat is threatened. Researchers found this shark swimming off the coasts of California and Hawaii for the first time, though in 2009. The shark filmed in this video seems to prefer rocky habitats, unlike its brothers and sisters. It was captured on video by a remotely operated vehicle that, by luck, saw the shark through its lenses off the Hawaii/California coast. 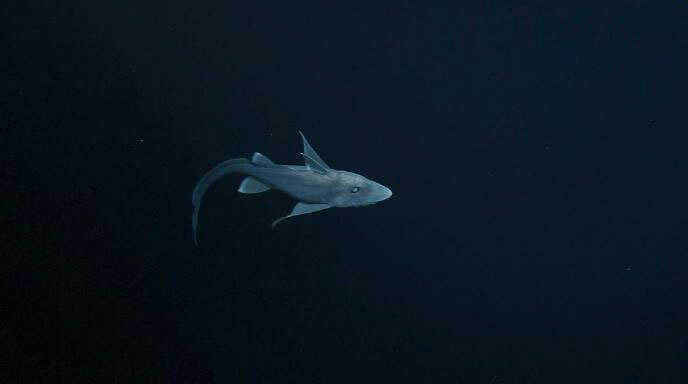 The geologists who piloted the ROV were not looking for the elusive ghost shark. 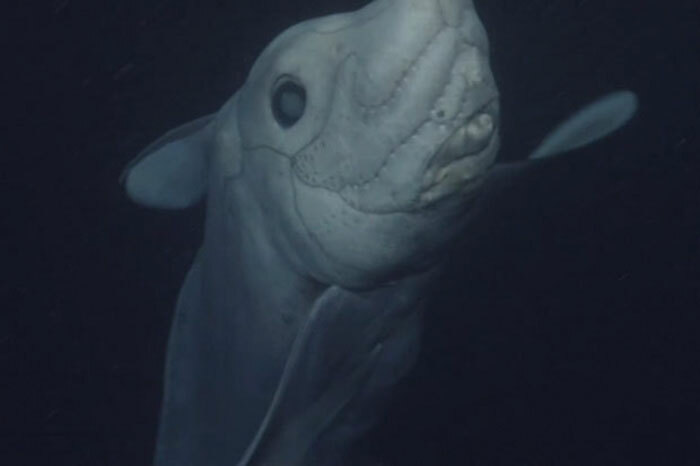 The world now has a rare opportunity to see the deep-sea shark in a video that has finally been released by the Monterey Bay Aquarium Research Institute in California nearly six years after it was taken.